Blockbuster movies, the most popular TV shows, powerhouse characters known the world over. All have one thing in common: They were born in comic books and made popular through the work of artists, writers and a dedicated group of fiercely independent small business owners. On Saturday November 28, it’s time to shine the spotlight on comic book retailers, the fire-starters of pop culture. 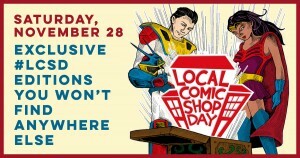 It’s time to celebrate Local Comic Shop Day! unique and limited editions* of the hottest new releases to exclusive hardcover versions of popular collections. 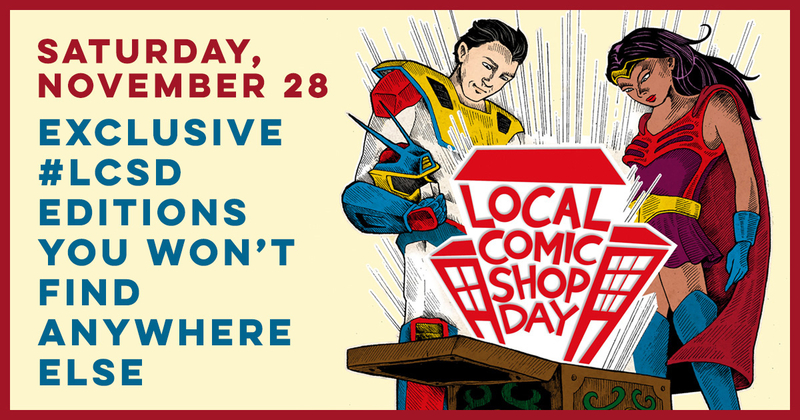 On Saturday November 28, coinciding with Small Business Saturday, Local Comic Shop Day makes it easy to shop for the comic book fan in your life. *Selection may vary by location.